What is the Catholic view of physical suffering? 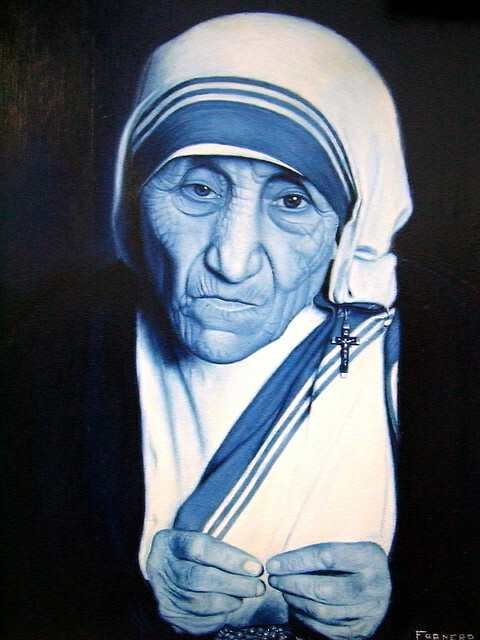 Many go far beyond the biblical concept of entrusting themselves into God's sovereign care during physical suffering, to the point of (1) actually inflicting physical pain upon themselves (as documented in this CNN article about Pope John Paul II) or (2) through not alleviating the physical suffering of others in their care (as documented about Mother Teresa in this recent article). Many Catholic monks self flagellate themselves, fast for days on end, sleep in the freezing cold exposed to the elements, wear painful metal implements attached to their own bodies that inflict physical pain, etc., etc. They literally think physical pain brings them more holiness, and brings them closer to God, in the same way that they believe the elements of the Catholic Mass literally give them little injections of holiness every time they partake. If you think about it, it's such a demonic deception. I can imagine Satan laughing in glee at this wicked deception he's gotten people to buy into that causes them to create physical torment in themselves or refuse to alleviate it in others. It's absolutely demonic. Remember, Satan hates ALL humans because we are made in the image of God, and is like a roaring lion, prowling the earth seeking whom he can devour (1 Peter 5:8). This is probably hard for most Christians to comprehend, but please, if you have Catholic friends or neighbors in your life that you care about, take a little time to familiarize yourself with some of their beliefs, and what Paul called "doctrines of demons" (1 Tim 4:1). Catholics need the life giving truth of the gospel, the true gospel, and to understand that there is nothing they can add to Christ's finished work on the Cross.